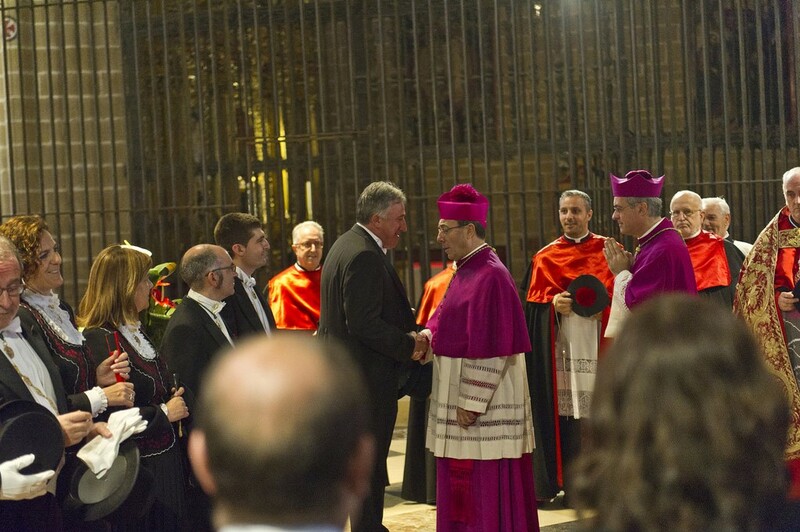 The procession of the saint took place without any incidents of note and the newly-elected mayor, Joseba Asiron, was cheered and applauded along the route. 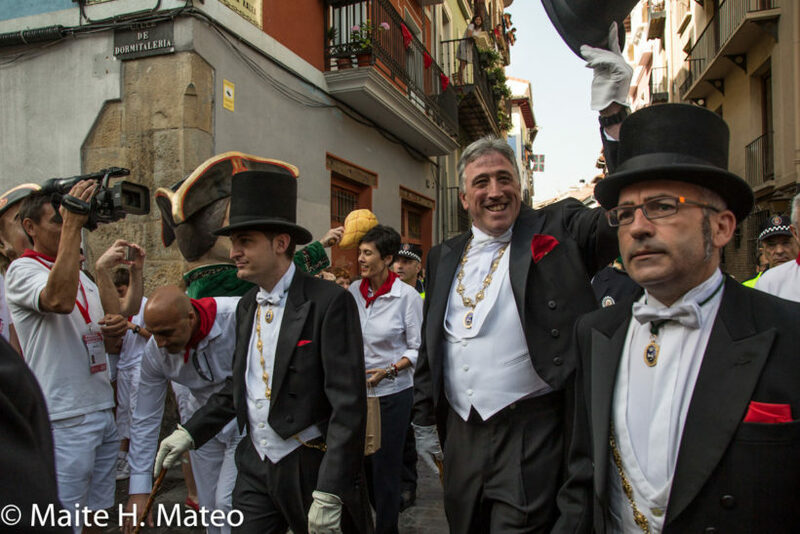 The procession in honor of St. Fermín was refreshingly uneventful. For the first time in over a decade, there were no jeering, nor insults, nor pushing and shoving as the city hall councillors made their way up Curia Street on their way to the cathedral. 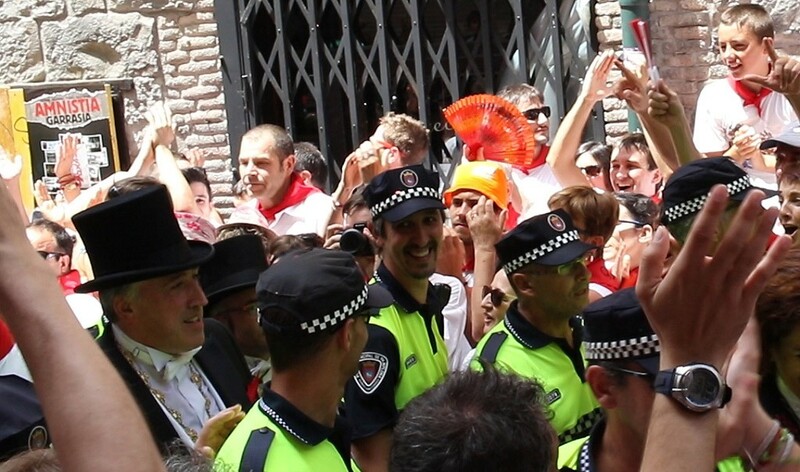 The procession was a happy one for the recently-elected mayor Joseba Asiron (EH BIldu) who was applauded and acclaimed by the public and he, smiling and cheerful, wave an exuberant greeting and indeed even stopped to embrace some of the watching crowd. The contentious point of many of the previous processions in these past years in Curia Street today passed without incident. In spite of the large crowd gathered to watch the procession, the retinue of personalities paraded in a normal fashion amid the applause of the public, with some voices chanting a goodbye to the previous political party in power up to this year “Agur UPN agur, agur” while some other people acclaimed the new mayor by chanting his name “Asirón, Asirón”.